On this day which the nation experienced its darkest hours 41 years ago, we the undersigned civil society groups call upon the nation to make May 13 a day to cherish peace, reason and freedom. 1. The May 13 ethnic riot was the most unfortunate episode in Malaysia’s history in which lives were lost and properties destroyed as politics broke down into violence. We offer our thoughts and prayers to the innocent lives lost and consolation to the victims who survived it. 2. 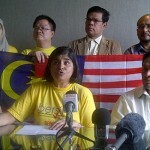 Thankfully, Malaysia has since moved forward as a nation in denouncing political violence. 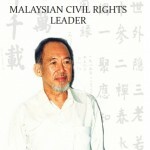 Post-March 8 attempts to trigger ethno-religious tensions and justify authoritarian controls, such as the cow-head protest in August 2009 and the desecration of houses of worship in January 2010, have been resolutely defeated by condemnation coming from Malaysians of all ethno-religious and socio-cultural backgrounds who treasure peace, reason and freedom. 3. Any attempts to mock or trigger another May 13 – whether to subdue citizens or to seize power – may end in complete political destruction of the culprits. The trials of Liberia’s Charles Taylor, Chile’s Penochet and Ex-Yugoslavian warlords for mass violation of human rights should serve as stern reminder to anyone contemplating political violence. A society with zero tolerance for political violence and intimidation of any kind is emerging in Malaysia, especially amongst those of the younger generations. We seek peace and harmony, not in fear, but through dialogues and deliberations in the spirit of mutual respect and openness. 4. While freedom of speech and freedom of assembly for all political persuasions should be celebrated, any attempt to exploit the anniversary of May 13 to glorify political violence or instil fear is disgraceful and should be shunned by the public. In addition, any commemoration of the tragedy involving state funds and resources must be inclusive in both content and target group.